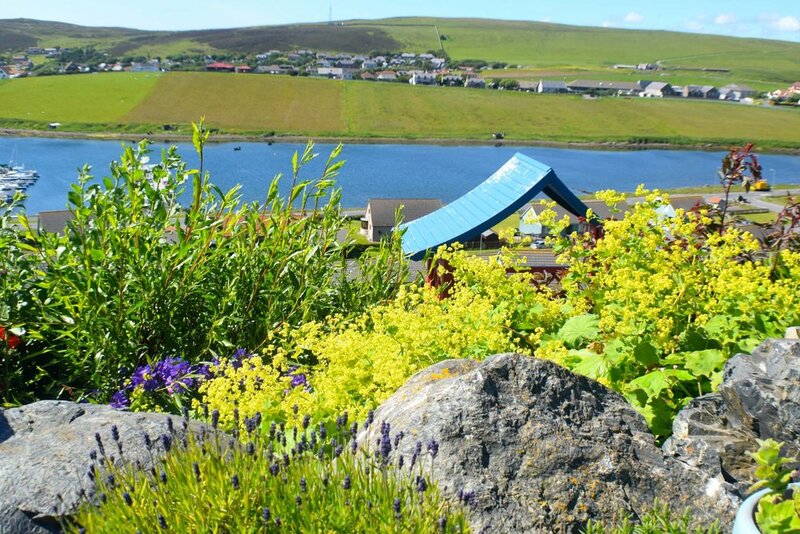 A Shetland garden, designed by Sarah Kay on a wind swept hillside at Scalloway Shetland. Started may 2008, with a strong theme of re-cycling. 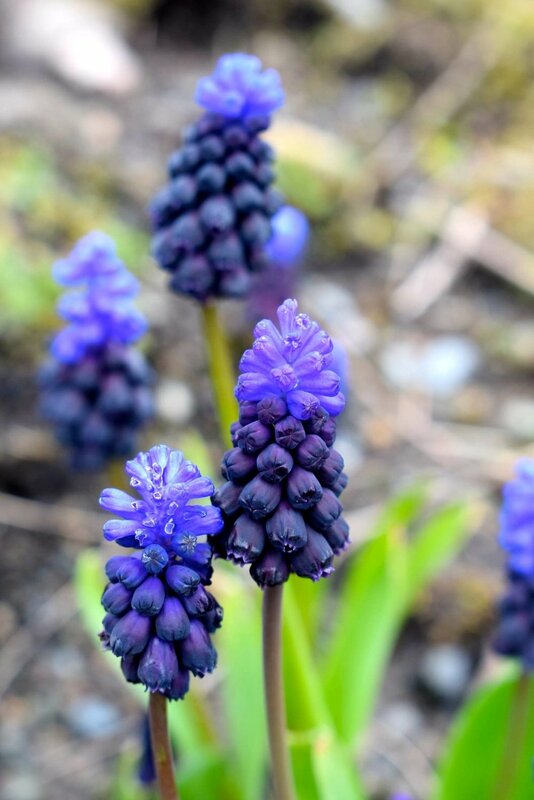 Sarah Kay’s passion about her garden is obvious from the moment you arrive at Easterhoull, the house she shares with her partner Laurence Williamson and their two-year-old son, also named Laurence. Sarah Kay’s passion about her garden is obvious from the moment you arrive at Easterhoull, the house she shares with her partner Laurence Williamson and their son, also named Laurence. herbaceous beds threaded with paths. The garden is in two parts. 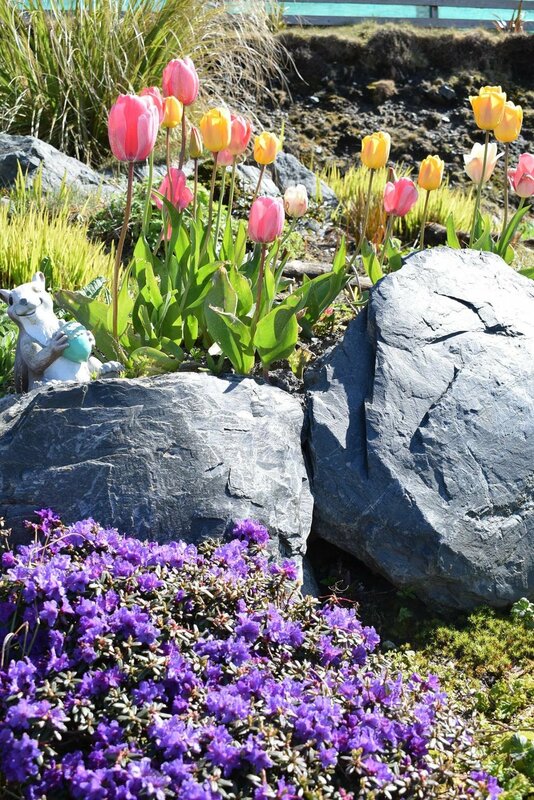 The upper garden is mostly a rockery, with a large selection of plants, shallow pond, seating area and newly built 'polycrub' and green house. 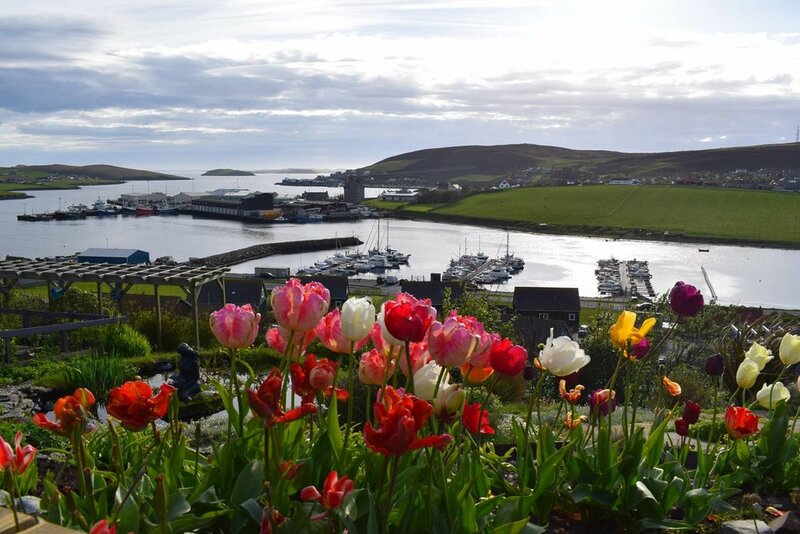 The lower garden is on a steep slope with a spectacular sea view over the village of Scalloway. There is a path to lead visitors around. 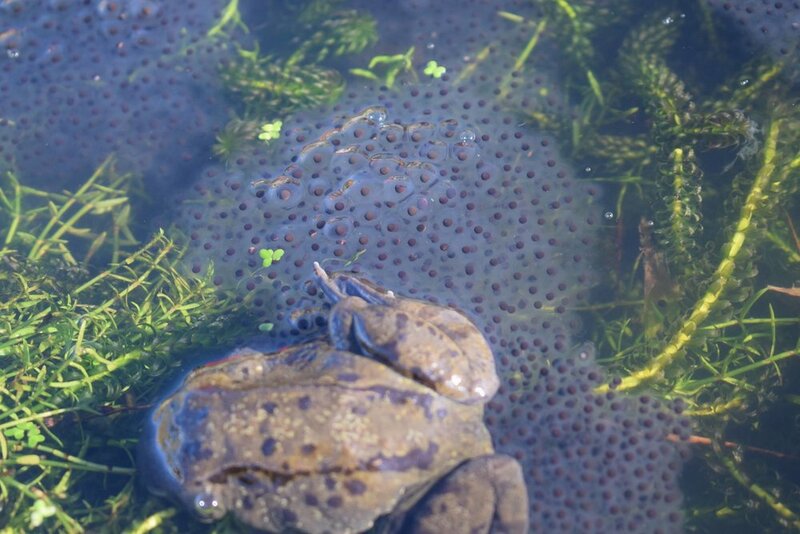 The garden features a large collection of plants, vegetable patch, deep pond and pergola. It was awarded a 'Shetland Environmental Award' in 2014 for its strong theme of recycling. Follow the A970 main road towards the village of Scalloway. 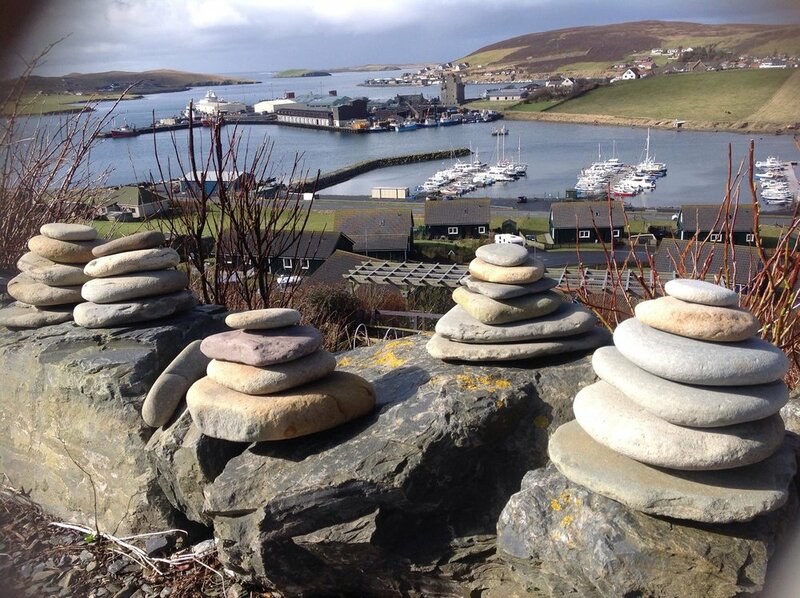 Near the top of the hill heading towards Scalloway take a sharp turn to the left, signposted Easterhoull Chalets. 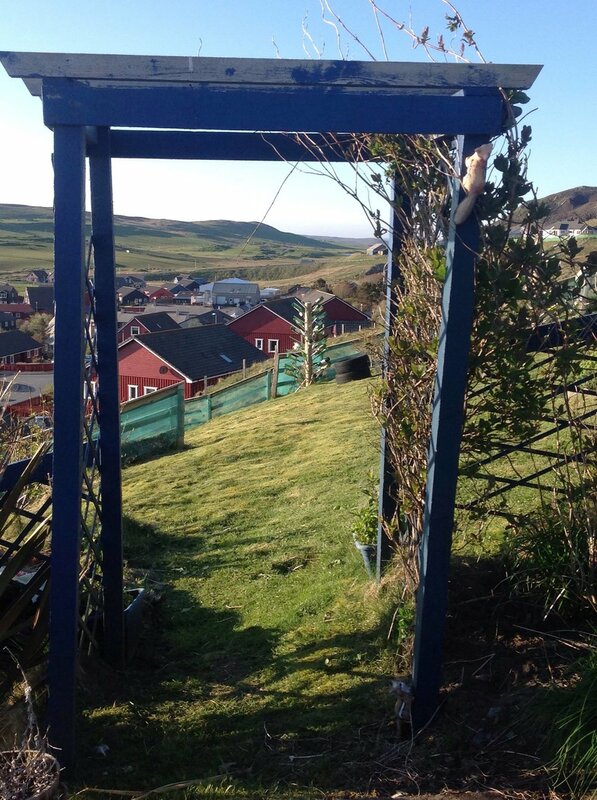 Follow the road to chalets (painted blue with red roofs) and you will see the yellow SG sign for the garden. We have self catering accommodation available next to the garden. Enquire for details. Need Accommodation? 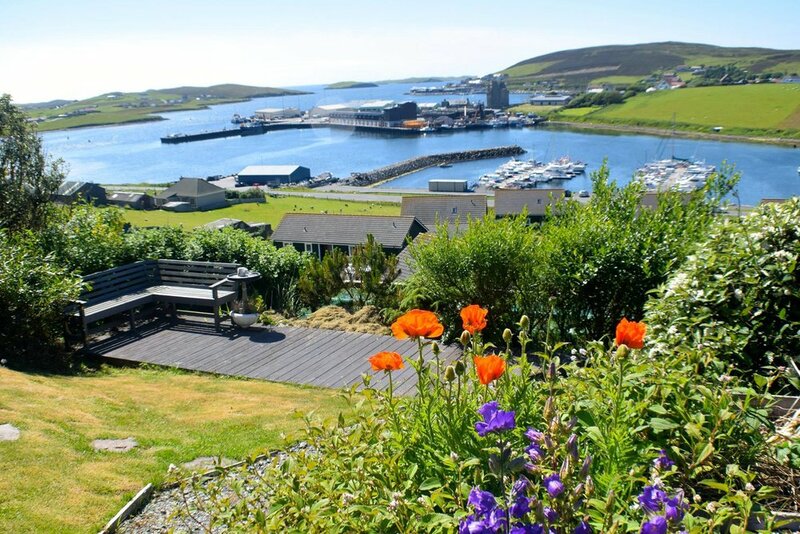 Your Shetland Isles hideaway is waiting.